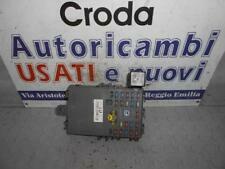 FUSIBILIERA SCATOLA FUSIBILI CHEVROLET MATIZ 800 BENZINA DAL 2005 AL 2010 COD. Cod: 13583065. Centralina scatola fusibile per Chevrolet Aveo Mk2 2012-. Ricambio originale Chevrolet usato. POMPA IDROGUIDA. CHEVROLET MATIZ 800. Codice: 96826374. CHEVROLET AVEO. CENTRALINA PORTA FUSIBILI. CODICE RICAMBIO: 96857534. CENTRALINA PORTA FUSIBILI CHEVROLET MATIZ. Chevrolet Orlando LT 2.0 VCDi 5 MPV 2013 - colour code GQK. FUSE RELAY BOX. -All the parts are from UK which are RHD vehicles, we can not promise that the parts will fit LHD vehicle. Donor Vehicle: CHEVROLET CAPTIVA LTZ 2.0 VCDI AUTO 2010. ANY LOCATION OUTSIDE THE UK. Arran - KA27 KA25. Oban - PH 33, PA20-49, PA60-80, KA28. Inverness - ALL. Shetland ZE1-3. Orkney KW15-17. Código interno: 648571. Caja reles / fusibles CHEVROLET CAPTIVA 2.0 VCDI LT, Año: 2008. Referencia : 96821082. Wir können es überprüfen. Nous pouvons le vérifier. CHEVROLET KALOS 1.4 PETROL SX. DRIVERS SIDE FRONT DASHBOARD FUSEBOX. 5 SPEED MANUAL 3 DOOR 2006 MODEL. PART NUMBER N/A. AJ SPARES is a large independent Vehicle Dismantlers. South Yorkshire. The Blue Containers. CHEVROLET MATIZ SE (MODEL M200) 2005- 2009 SMALL FUSE BOX (Removed from a right hand drive car). THIS VEHICLE PART WAS REMOVED FROM A YEAR 2005 CHEVROLET MATIZ SE 5 DOOR HATCHBACK 1.0i PETROL ( Engine Code B10S) 5 SPEED MANUAL. 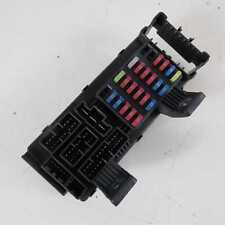 Sicherungskasten Fuse Box Chevrolet Aveo 2006-2011 KOMPLETNA 1206 H/B ---. der Identifikation der Fahrzeuge und -oder Fahrzeugtypen. Alle Angaben ohne Gewähr. Offside Front Fusebox Cover. Aveo S (MK1 Facelift (T250)) (ABS). 1206cc 83/62 16v. Interior Trim Code. Electric Front Windows, Manual Door/Wing Mirrors. The table below contains further information. Internal Part Reference Number. Chevrolet HHR 2008 2.2 benzina. I dati del veicolo: Chevrolet HHR LR BJ. Piotr Mikolajczyk. Le parti migliori per VW - Audi. L'oggetto dell'asta è.
CHEVROLET MATIZ SPARK 2005-2011 0.8L, 796cc model (approx). OTHER CONSIDERATIONS. We try to note anything you would want to know about its condition outside of what you'd expect for its age. Our used parts are tested by us and any oversight is accidental. 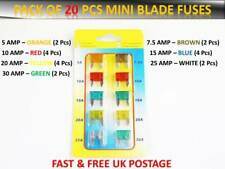 Chevrolet Kalos Fuse box. This vehicle part was removed from a year 2006 Chevrolet Kalos sx. Removed from a right hand drive car. Fusebox Cover. Aveo LS (MK1 FL (T250)). 1206cc 83/62 16v. Interior Trim Code. The table below contains further information. Internal Part Reference Number. This item is a used vehicle part and as such may have signs of general wear/handling. Driver Fusebox Cover. 995cc 67/50 16v. Spark LS (MK1 (M300)) (ABS). Exterior Colour Code. Interior Trim Code. Manual 5 Speed. This item is a used vehicle part and as such may have signs of general wear/handling. Fusebox Cover. 995cc 67/50 16v. Spark LS (MK1 (M300)) (ABS). Interior Trim Code. The table below contains further information. Internal Part Reference Number. This item is a used vehicle part and as such may have signs of general wear/handling. Under Bonnet Fusebox Cover. 995cc 67/50 16v. Spark Plus (PRE-FACELIFT (M300)) (ABS). Interior Trim Code. The table below contains further information. Internal Part Reference Number. This item is a used vehicle part and as such may have signs of general wear/handling. 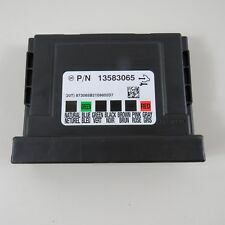 Sicherungskasten Fuse Box Chevrolet Aveo 95977260 2006-2011 CHEVROLET AVEO KARETA (SEDAN) 1206 cm3 Benzin kompletna (1.2 84KM). der Identifikation der Fahrzeuge und -oder Fahrzeugtypen. Alle Angaben ohne Gewähr. Coperchio scatola fusibili Diesel Chevrolet Captiva 2008 VEI3978. Produttore: Chevrolet. Tipo di carburante: Diesel. MB 'Veiveriu autodalys'. Gli articoli restituiti in cattive condizioni o avere parti mancanti non saranno rimborsati. 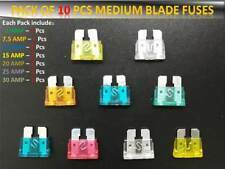 Chevrolet Aveo 2008 To 2011 Fuse Box. Sicherungskasten Relaiskasten. von Chevrolet Matiz 0.8 L Bj. In Ihrem eigenen Interesse sollten Sie den Erhalt der Ware erst auf beschädigungen überprüfen und dann unterschreiben! Wir bemühen uns alle KFZ- Ersatzteile auf Funktionalität zu prüfen, allerdings ist es leider nicht bei allen möglich. 5-Gang-Getriebe Manuell. Chevrolet Captiva. voll funktionsfähig. 150.000 km. Part Number 95949014 ( ). Fuel type: Petrol. 2010 CHEVROLET SPARK Fuse Box. This item has been removed from a: 2010 CHEVROLET SPARK. Model: SPARK. Make: CHEVROLET. Year: 2010. All parts are stamped & removal of the marks will invalidate your warranty. P/N 2B0Z4010F. CHEVROLET AVEO LTZ 2013. FUSE RELAY BOX. PICTURE OF THE CAR IS FOR ILLUSTRATION ONLY. AJ SPARES is a large independent Vehicle Dismantlers. South Yorkshire. The Blue Containers. 5 DOOR HATCHBACK. Caja reles / fusibles CHEVROLET AVEO LS, Año: 2008 96651328. Referencia : 96651327, Observaciones: 96651328 ak62200. Código interno: 204475. Wir können es überprüfen. Nous pouvons le vérifier. 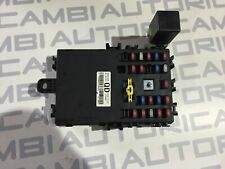 Caja reles / fusibles CHEVROLET MALIBU LTZ, Año: 2012 13255300. Referencia : 529050199, Observaciones: 3 conectores. Código interno: 700503. Wir können es überprüfen. Nous pouvons le vérifier. Donor vehicle- CHEVROLET CRUZE 2.0 VCDI 16V 2009 RHD. Year - 2009. RHDrefers to part from right hand drive vehicle (found in UK, Australia and others). Our consultants can also be reached on Skype. We also have more parts from this vehicle. La scatola dei fusibili proviene da un anno convertibile Chevrolet Corvette C7: 2015. Chevrolet Corvette C7Portafusibili con coperchio! UNDER BONNET RELAY BOX. CHEVROLET AVEO S 1.2 LITRE PETROL 2010 MODEL. O.E.B (BAY 5). South Yorkshire. INTERIOR CODE - BXQ. The Blue Containers. AJ SPARES is a large independent Vehicle Dismantlers. 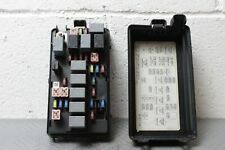 2008 CHEVROLET LACETTI Fuse Box. This item has been removed from a: 2008 CHEVROLET LACETTI. Model: LACETTI. Fuel type: Diesel. Make: CHEVROLET. All parts are stamped & removal of the marks will invalidate your warranty. CHEVROLET CRUZE 1.6 LITRE PETROL 2010 MODEL. South Yorkshire. The Blue Containers. AJ SPARES is a large independent Vehicle Dismantlers. Código interno: 798453. Caja reles / fusibles CHEVROLET ORLANDO LT, Año: 2014. Referencia : 13222786. Wir können es überprüfen. Nous pouvons le vérifier. Gebrauchsspuren sind deshalb kein Grund für eine Reklamation. Gebrauchte Ersatzteile kosten in der Regel einen Bruchteil gegenüber neuen Ersatzteilen. Modell- und Bauzeitraum des Fahrzeugs. Die Gründe für die Nichtfunktion können neben defekten Bauteil vielfältig sein. CHEVROLET MATIZ (M200 MODEL 2005-2009 )FUSE BOX WITH RELAYS (Removed from a right hand drive car). 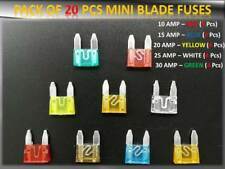 THIS FUSE BOX IS FROM A YEAR 2009 CHEVROLET MATIZ 5 DOOR HATCHBACK,(59. REG) 0.8i ( 796cc ENGINE) 5 SPEED MANUAL.